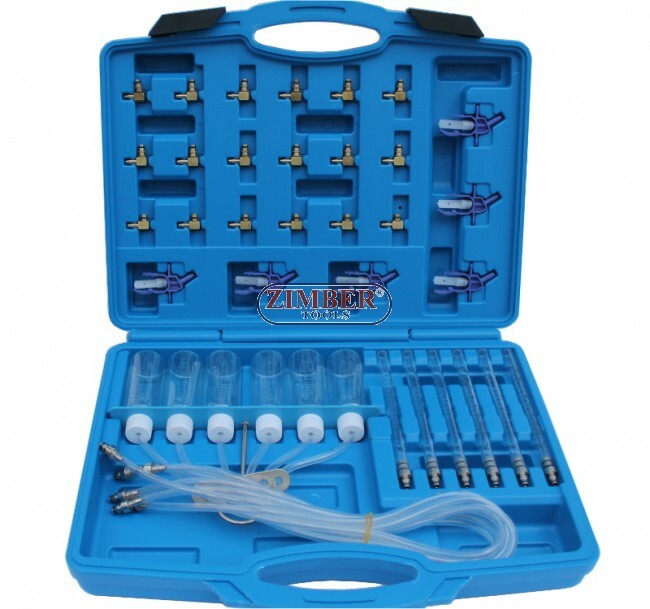 Diesel Injector Flow Test Kit Common Rail, ZT-04293 -SMANN TOOLS. 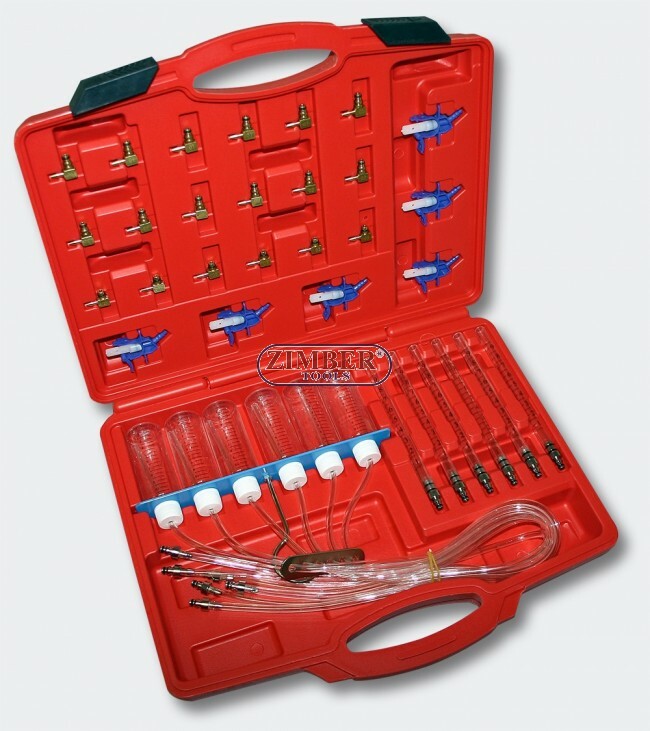 Diesel Injector Flow Test Kit Common Rail, ZT-04293 (ZT-04A3024) -SMANN TOOLS. This tool is designed to measure return fuel flow of high pressure diesel injectors. This kit allows simultaneous measurement of the pressure of all 6 injectors. The flow meter kit is designed to measure the amount of fuel that every injector returns to the post tank rapidly and effectively. This way you will be able to know whether any injector is damaged. Suitable for use BOSCH, SIEMENS, DENSO, DELPHI common rail injection system. This is a anodized hanging bottle rack for engine bay. A moulded case is included for transportation and storage. 6 measuring cups, each with 70 cm hose. For common rail engines, up to 6 injectors. Identifies worn, blocked or inoperative injectors. Diesel injector flow test kit. 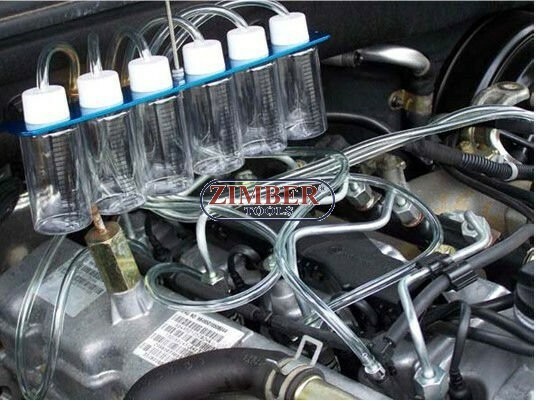 Tools Common Rail Diagnosis Kit Up To 8 Cylinder,ZR-36FMCRAS01- ZIMBER TOOLS.